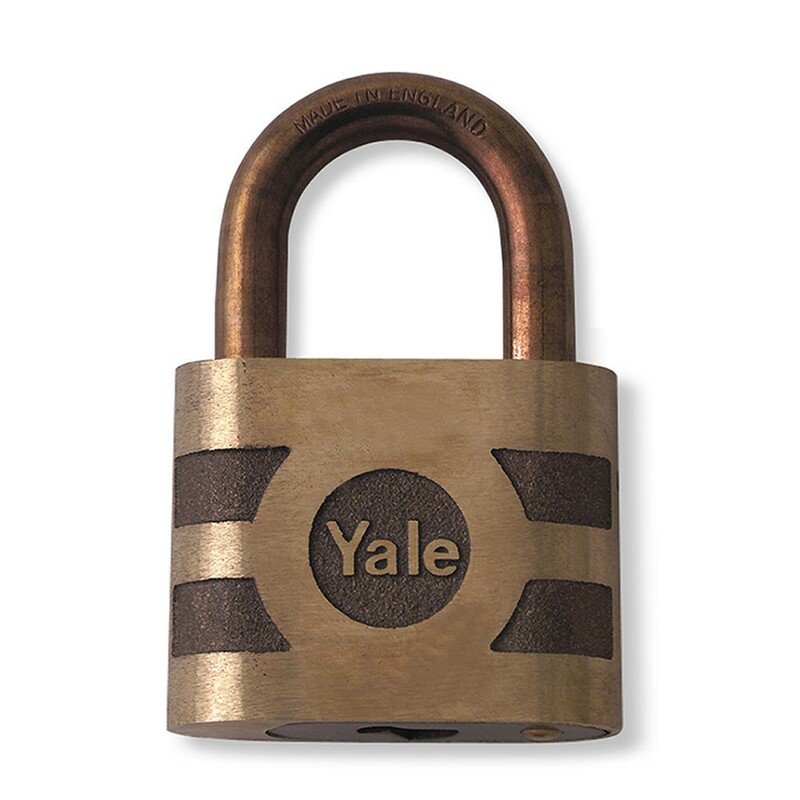 The Yale bronze padlock bronze shackle 54mm has a bronze body and a bronze shackle. It is an open shackle bronze padlock for outdoor areas requiring a weatherproof padlock and maximum security. It has a fully re-keyable 6 pin cylinder and snap-locking key to unlock its 2 point self locking arrangement. The Yale bronze padlock bronze shackle 54mm is suitable for anti-sparking environment and requires a key to lock and unlock it. It has a double steel ball locking system engineered for additional security.